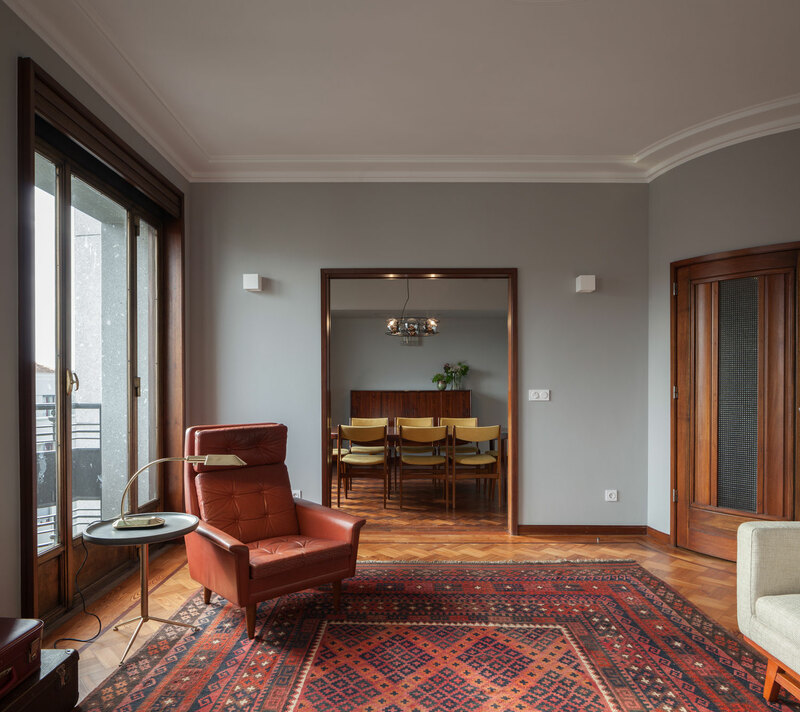 This nostalgic renovation of three flats in an 1940’s building in Porto has been designed by architecture studio . 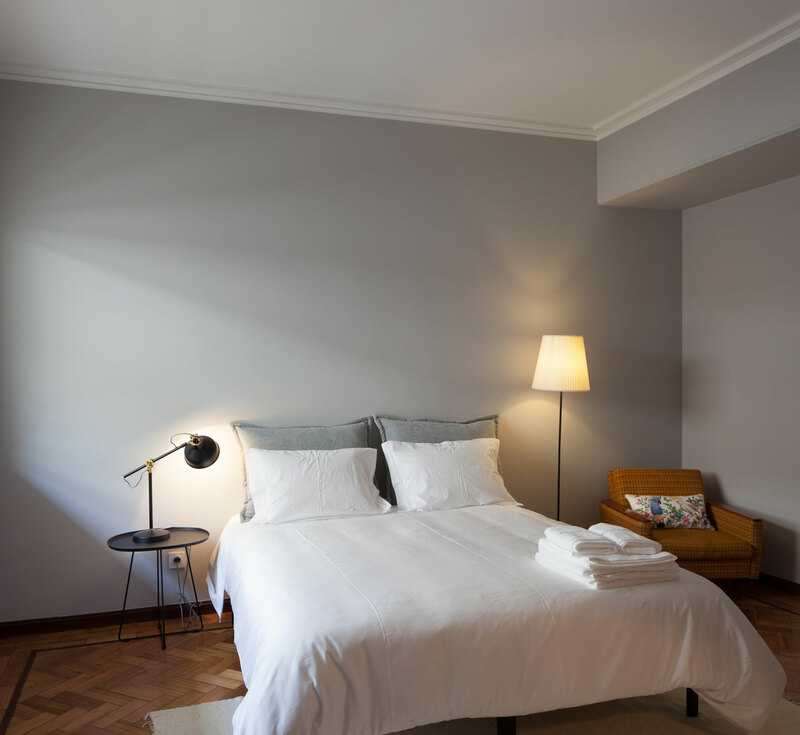 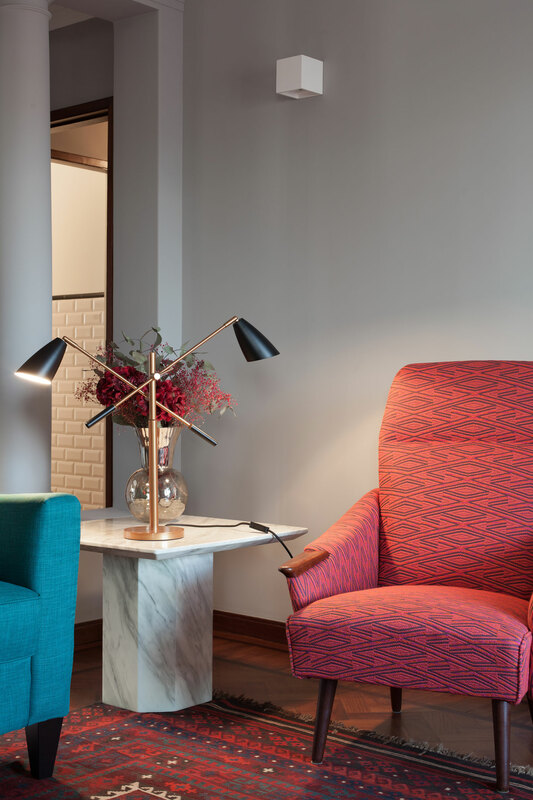 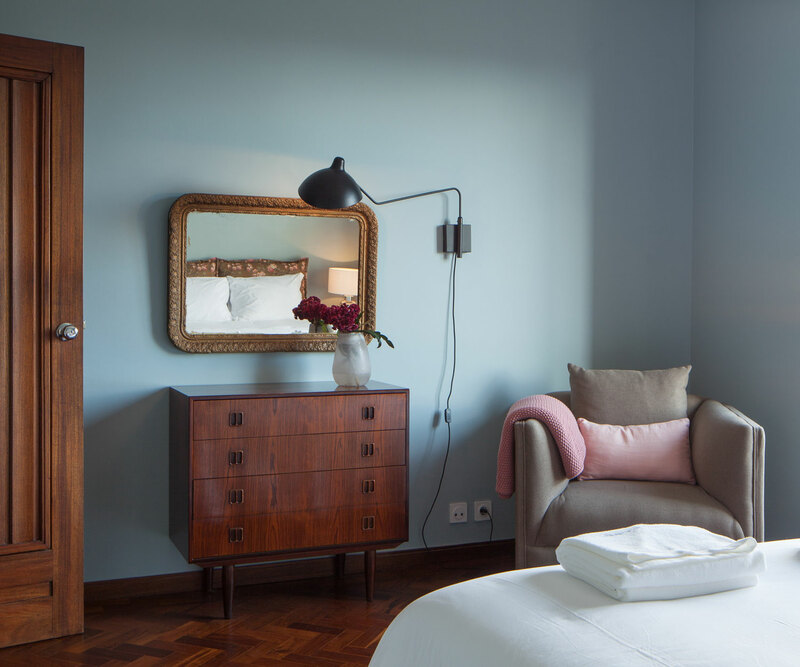 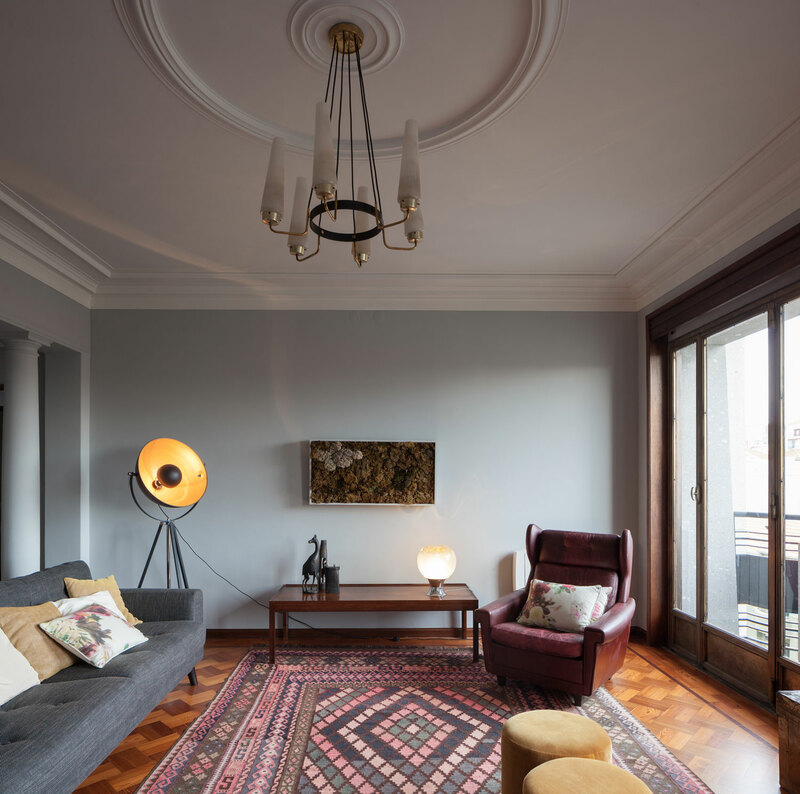 Located inside Porto’s Palácio do Comércio, one of the city’s most charismatic buildings, the renovation of these three 200-square-metre apartments is located on the fifth, sixth and seventh floors. 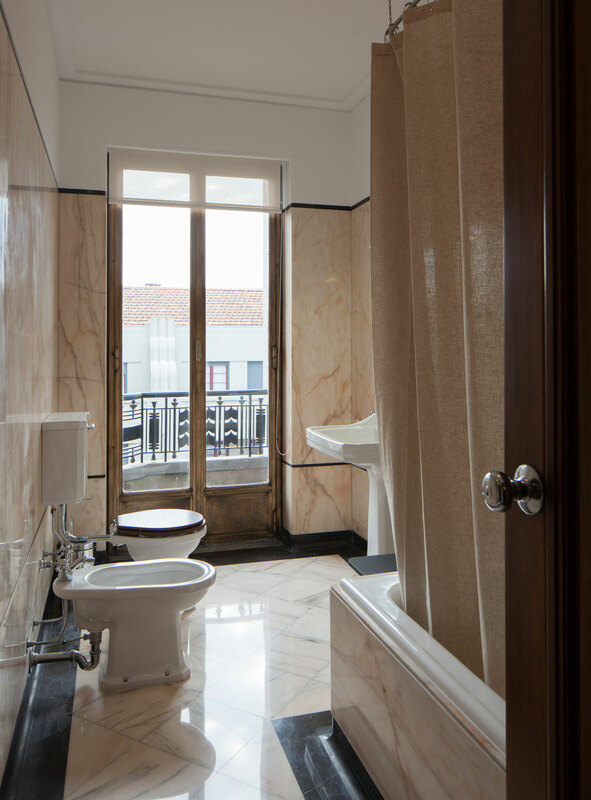 The renovation is sympathetic with the era keeping key original features like restoring the original parquet flooring, keeping the marble tiles on the walls and floors and reinstating the mosaics and ceramics found in the kitchens and bathrooms. 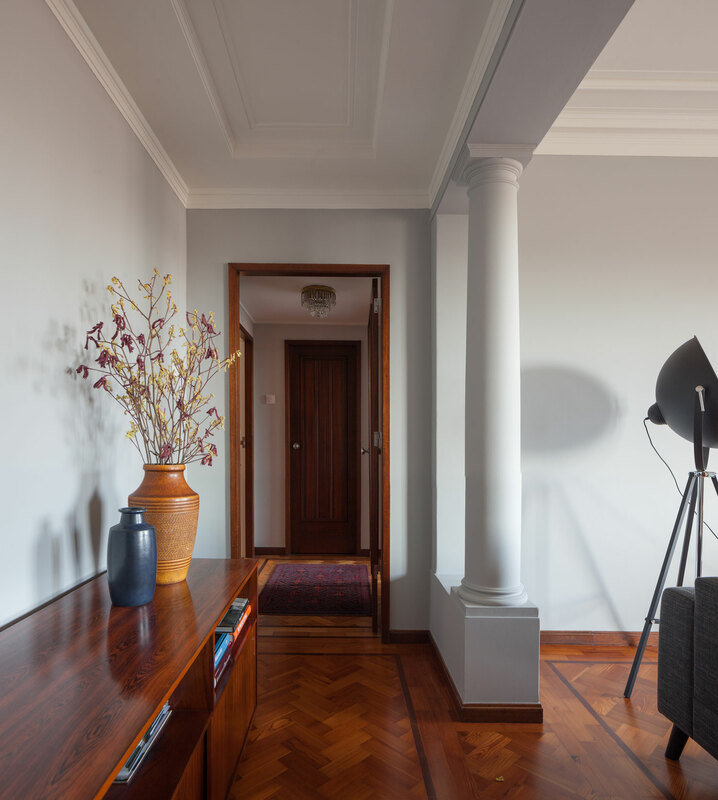 “The proposed interventions sought to minimise the impact on the apartments, preserving and valuing their original characteristics,” said the architects. 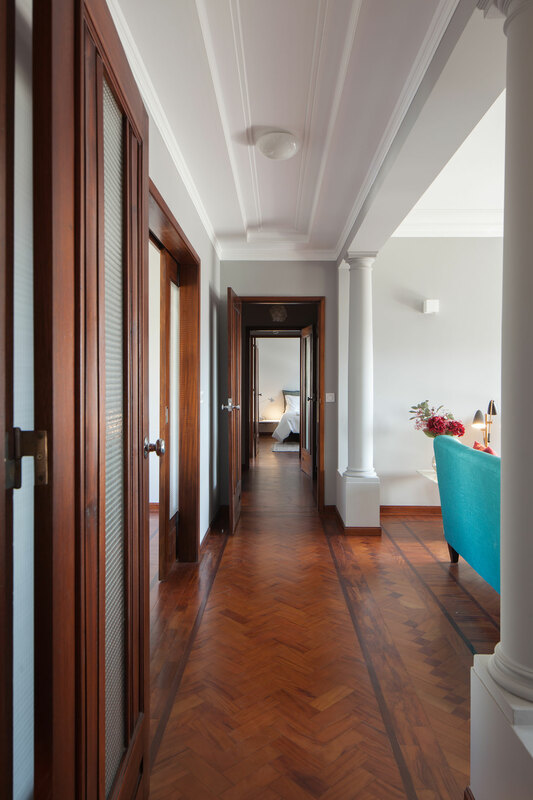 For the most part they’ve kept the layout of each of the apartments the same, retaining the central corridor found within each unit. 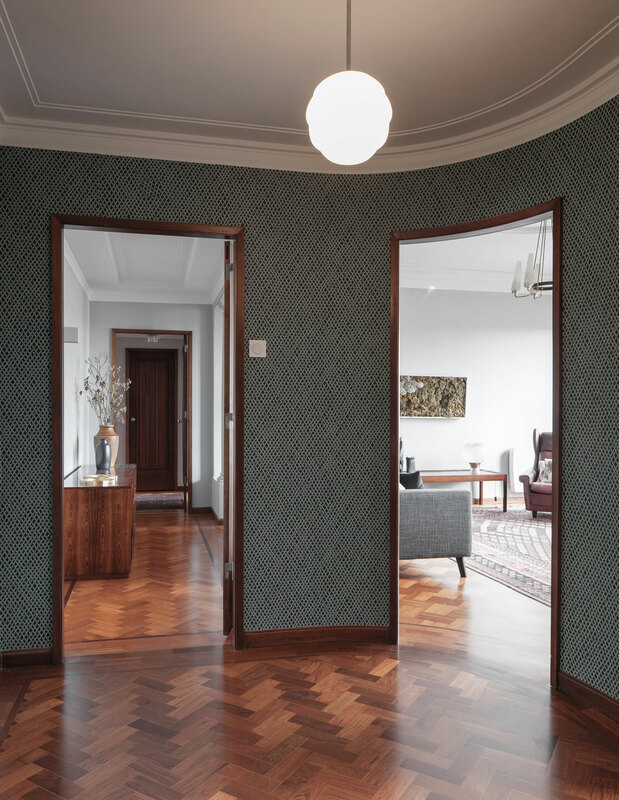 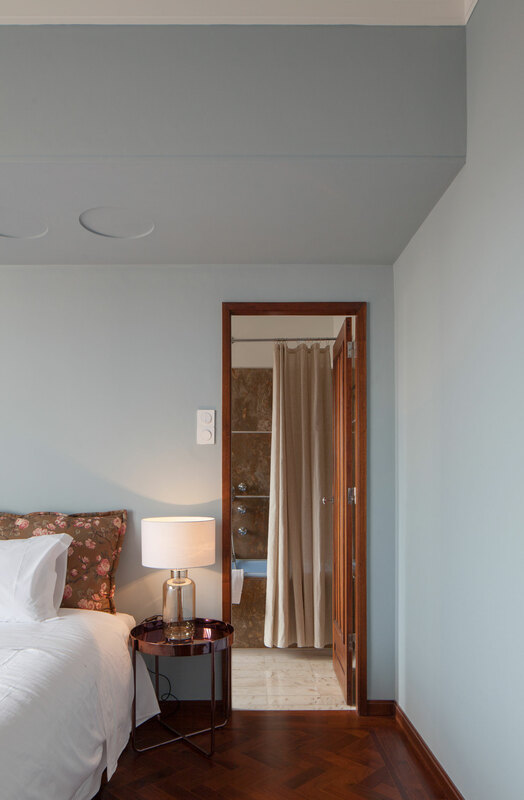 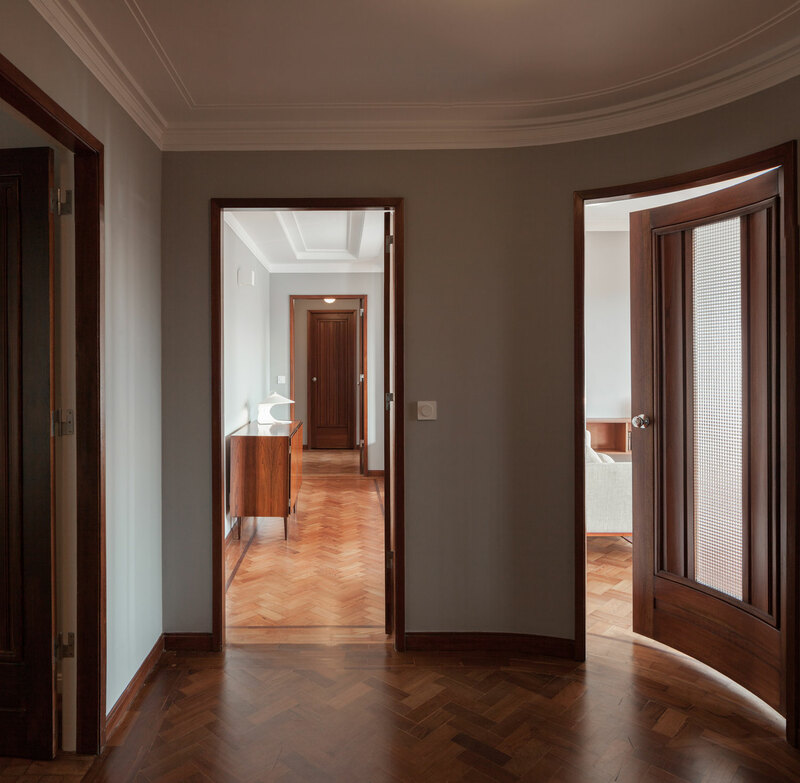 The corridor was originally intended to divide the apartment between what the architects call the ‘noble’ spaces such as the living and dining areas from the functional spaces such as the bathrooms. 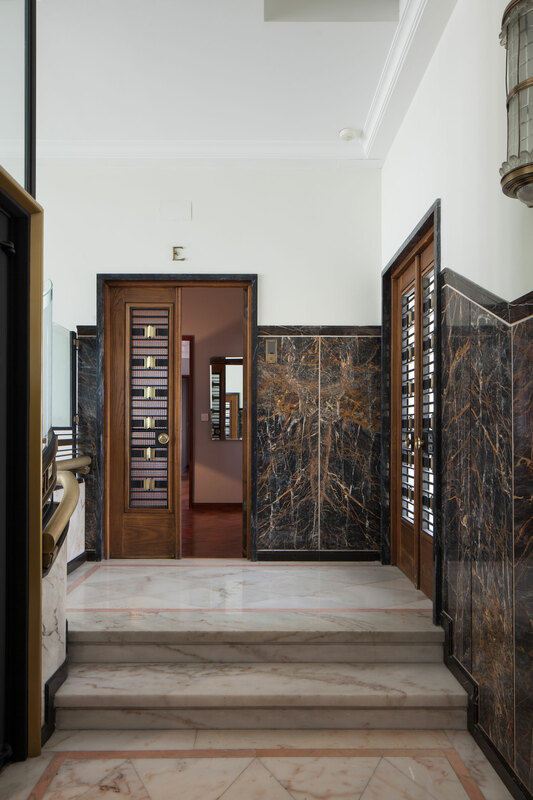 With the intention of maintaining the integrity of this hierarchy they emphasised the grading of space by the selection of materials. 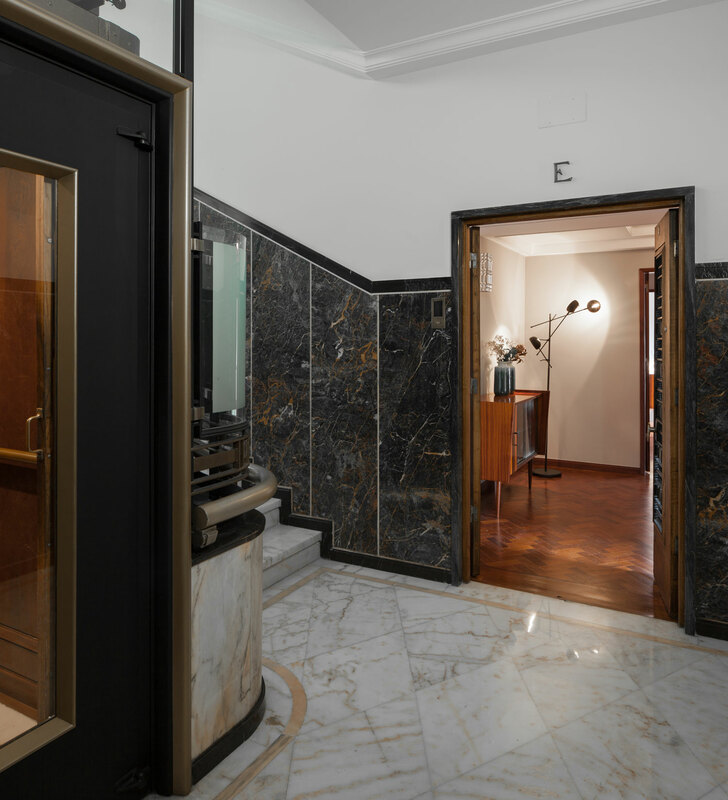 “The carpentries are made of exotic species of wood in the most noble rooms, while in the other spaces they are painted in different colours,” said the architects. 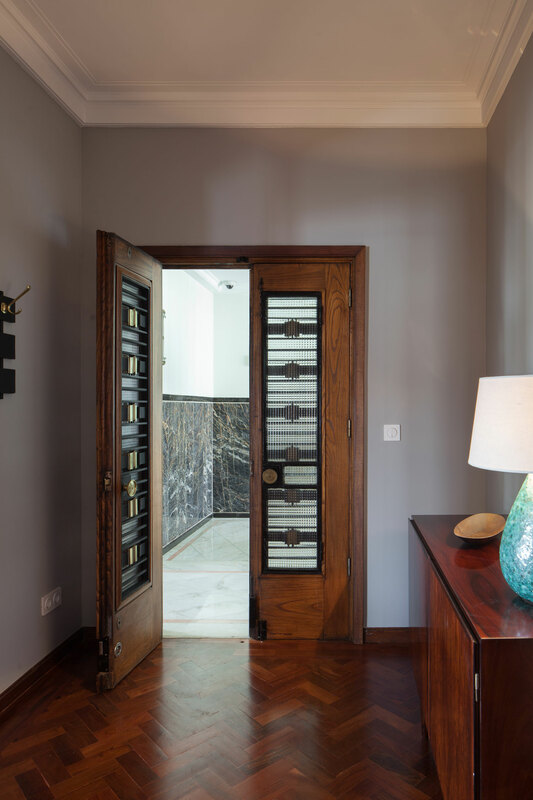 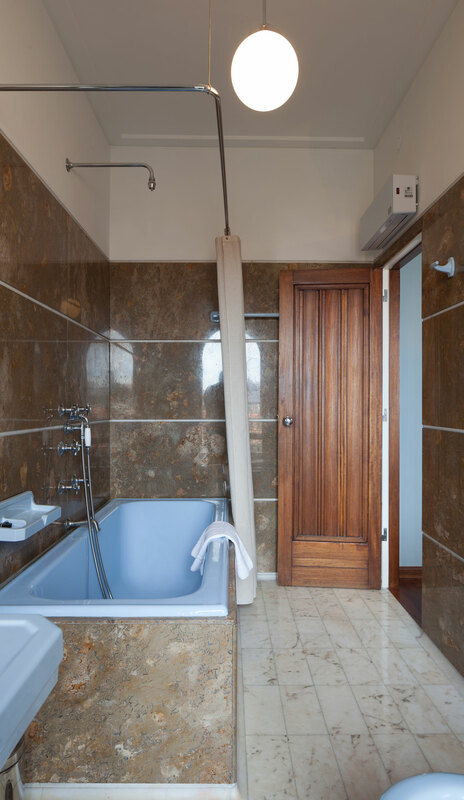 Whether it’s the powder-blue bathroom suit set against a backdrop of brown marble wall tiles, or the blue patterned wall paper of the entrance hall, the rooms individually and the flats collectively have an authenticity and a humbleness. 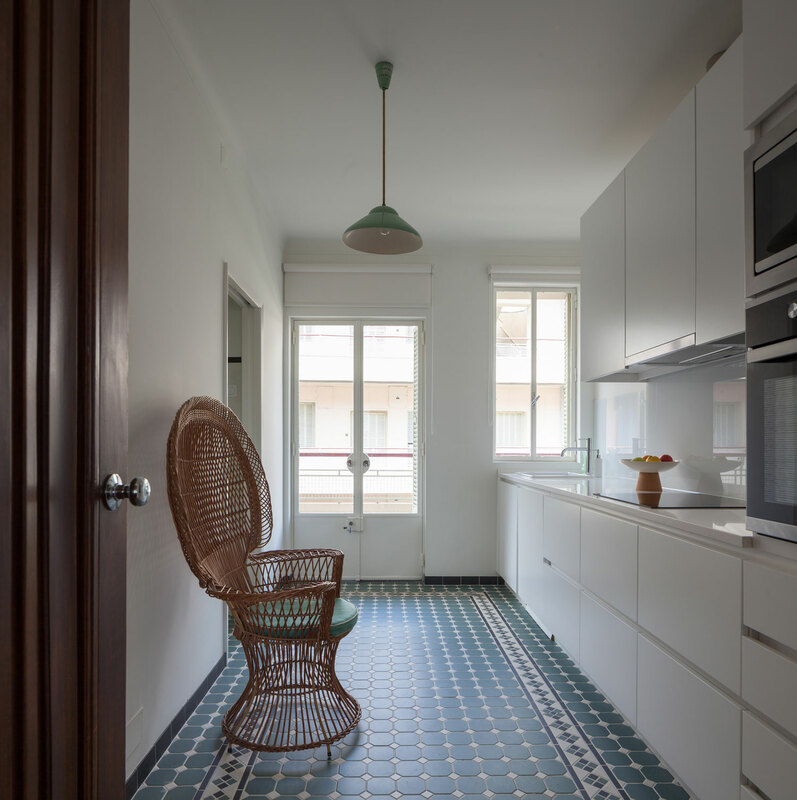 What is most endearing about this restoration is the unpretentiousness of it. 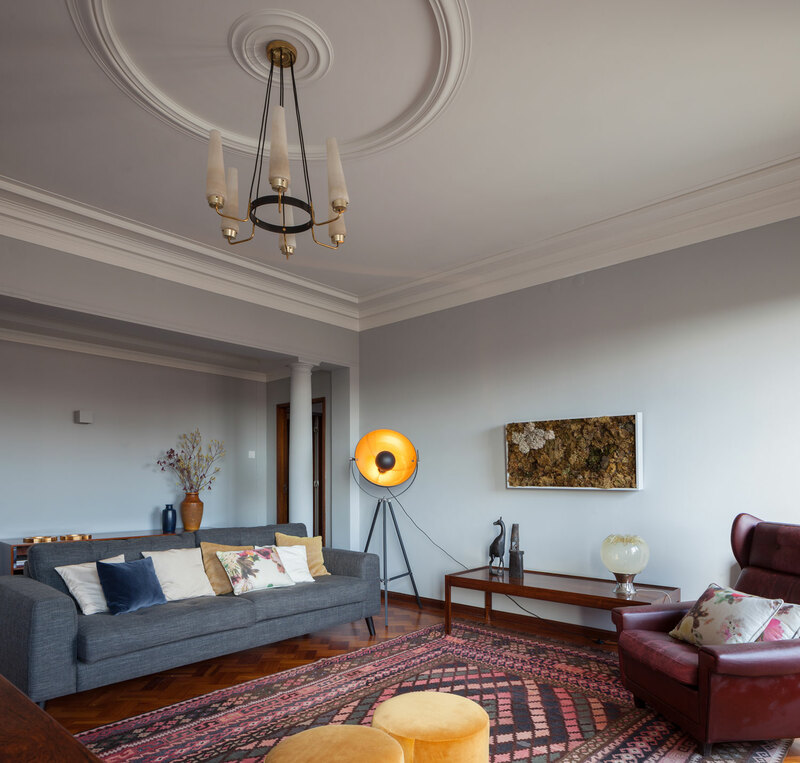 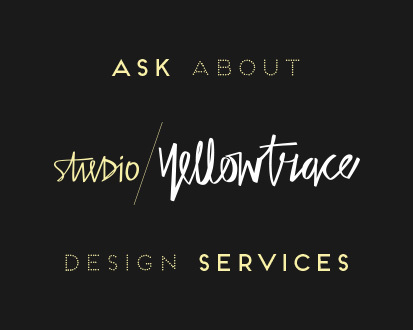 In our over-styled world, we have become obsessed with placing everything just so, adding Instagram filters and generally making a space seem better than it is, just so it seems, well – better than it is! 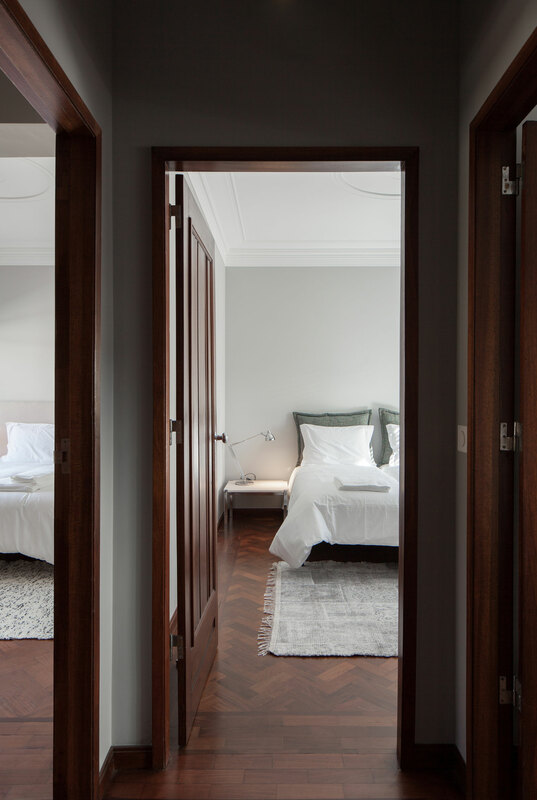 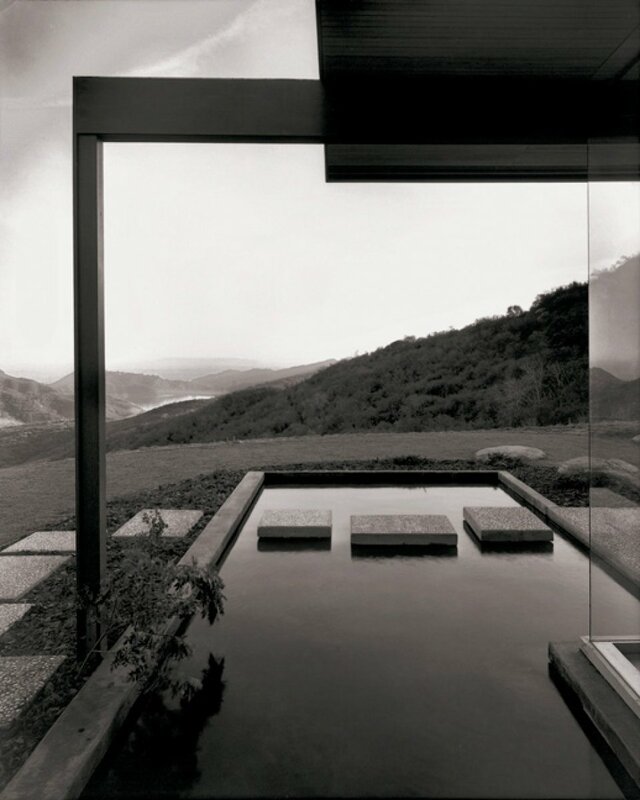 This lovingly restored set of interiors sets a new paradigm simply by not acquiescing to the existing one. 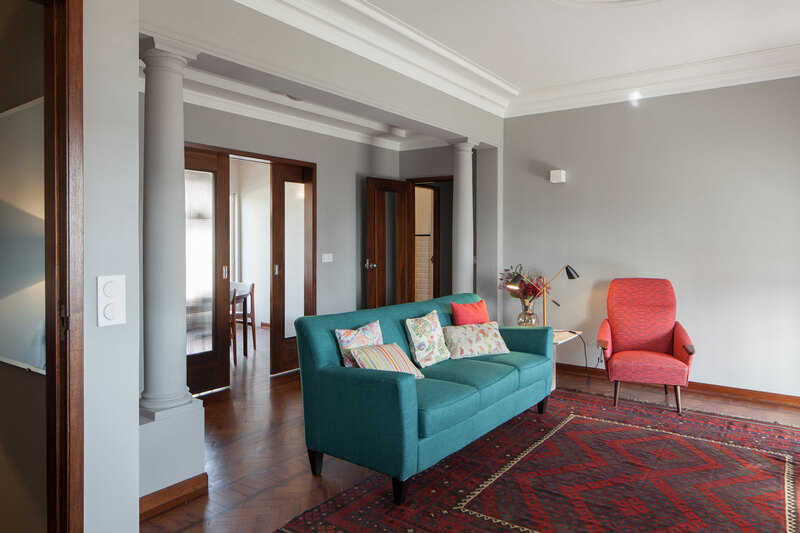 It’s just gone back to what Nana used to do – fluff the salmon pink cushions on the aquamarine couch and make sure the newspaper is folded crisply.